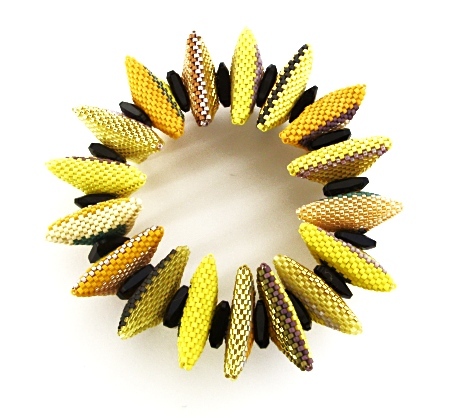 This geometric bracelet combines 2 different sizes of cylinder beads with large crystal triangles. It was a development of my triangle bracelets which began as an experiment both in structure and colour. The instructions for this bracelet are available here.